Crazy Rich Asians brought a previously unexplored culture to Western cinema, and a new perspective on the role of family in romantic comedies. Crazy Rich Asians has made history, a lot of money, and a lot of fans. It’s no surprise: for many, it’s what they’ve been waiting to see their entire lives. For others, it’s a new, diverse look at an old genre that comes with fresh originality. Romantic comedy is one of the most well-known genres out there, and with it comes many immortal cliches. Crazy Rich Asians took advantage of many of those universal tropes — the makeover, the disapproving mother-in-law, the common-girl-marrying-a-rich guy — but it also brought a lot of new things into the fold: most importantly, a new way to touch on the role family plays in a romantic relationship. It’s rare that we ever see Western romantic comedies turn a thoughtful eye on the nature of family interactions and the importance of parents’ approval in strengthening a relationship (Asian shows have been doing this for a while, though — see any K-drama). Outside of stories of forbidden love, where Romeo and Juliet’s parents are the villains whose disapproval must be vanquished, parents are rarely even a factor when it comes to romance. However, the Western world is an exception when it comes to this approach to family — it’s not the norm. In a great number of countries around the world, family is the top priority, to be put before anything else. Like Rachel’s mother-in-law informs her, pursuing your passions and gaining independence are lesser goals, if they are goals at all. And though this is a false dichotomy, as Crazy Rich Asians ultimately proves to us, ignoring the role of family in romance doesn’t make a lot of sense. Family is often what shapes us (for better or for worse), and in a relationship headed toward marriage, not including extended families in the narrative can prove unrealistic… even disastrous. Of course, many people purposefully distance themselves from family to avoid toxic relationships, which is understandable. But the tendency to ignore the value of the shared experience of family, family traditions, and relationships beyond the nuclear family does impact the way we see those relationships in society, and the amount of time and love we invest in them. While the extreme traditions of filial piety might not be the way to go, there’s a lot we can learn from the way Crazy Rich Asians navigates this touchy subject — very prevalent in non-Western households — in an impressively wise way. Rachel and Nick’s family experiences are vastly different from each other: Rachel grew up with a single mother away from her extended family, and Nick was the very center around which his relatives flocked. Neither family type is portrayed as the ideal. Rachel expresses feeling a sense of loss in her disconnection from ancestral wisdom, while Nick’s life is plagued by the unhealthy demands of his family. 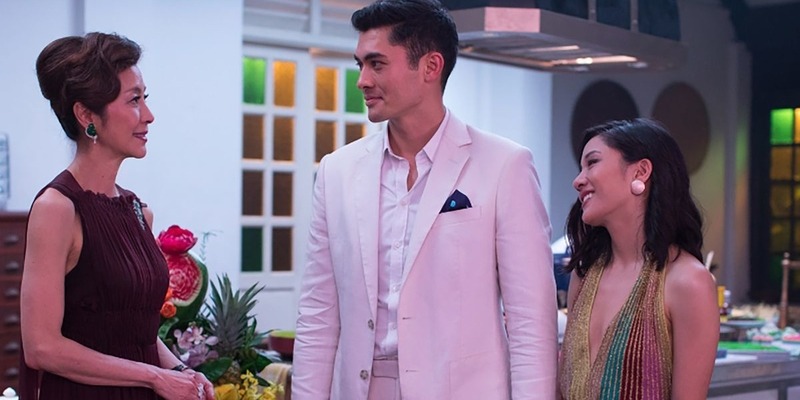 Crazy Rich Asians does not try to decide which is the ideal type of household. Instead, it shows the worth of familial love in all its forms. Rachel’s mother is her moral anchor and her greatest supporter. Nick’s relatives all adore him in their own ways, and are ultimately cheering for his happiness. More importantly, the flaws in character of the seemingly villainous relatives are examined far beyond than most parents in Romeo-and-Juliet-type romances are. Nick’s mother’s attitude stems from her own experiences in the family, as does his grandmother’s. Family history influences the lives of consecutive generations, and many seemingly irrational decisions can stem from some kind of trauma. Surpassing these obstacles, and coming to understanding and respect between family members — or between families — is what makes a romance turn into a strong family that not only improves the future, but heals the past. 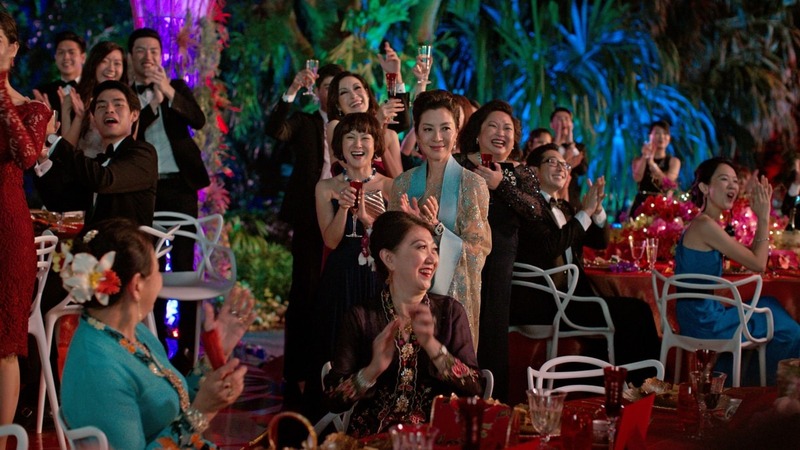 What Crazy Rich Asians has done is more than just profound; it’s socially important. By improving Hollywood’s racial and cultural diversity, it’s also brought diversity to the types of values we see play out on screen, and the types of life decisions we can learn from.